It’s been one of those weeks, one of those weeks when for various reasons I just haven’t had time to compile any round-ups of new music. Unfortunately, it also happens to be one of those weeks when a ton of new songs and videos have premiered (in addition to those we’ve premiered ourselves). I’ve picked a couple handfuls of those, and divided the collection into two parts. This one includes better-known bands, presented in alphabetical order. The next one will include more obscure names. The video goes for grotesque Luciferian imagery pretty hard, with a helping of gore and a lycanthropic devil-beast in the mix, in a tale of a summoning gone wrong (and people with silver bullets who can’t shoot straight). The video was directed by Rob Neilson. 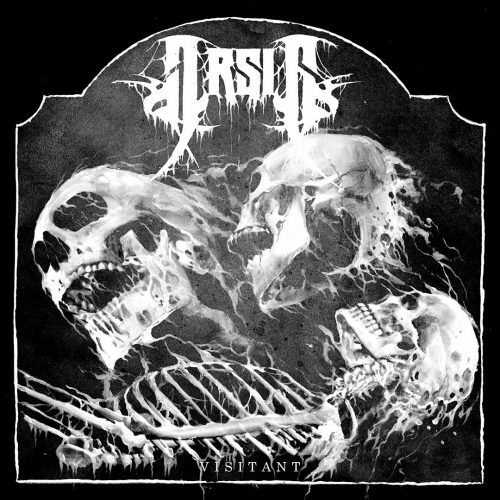 “Tricking the Gods” is off the sixth Arsis studio album, Visitant, which will be released on November 2nd by Nuclear Blast Records (the Americas) and Agonia Records (everywhere else). 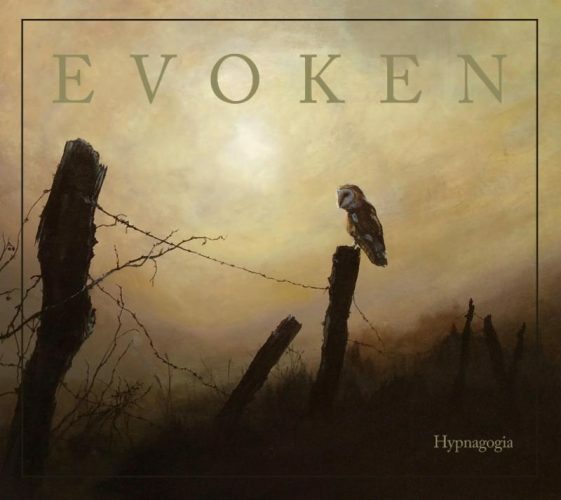 We’ve previously reported a few details about the forthcoming concept album by Evoken. which is their first new material in six years. 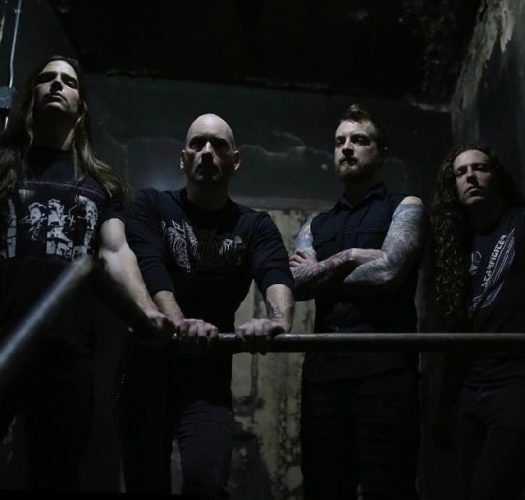 It has been highly anticipated in these quarters, and now we have a first example of the new music through a single released yesterday named “Valorous Consternation“. The song is capable of putting your teeth on edge as it creates an ever-tightening tension and a deepening atmosphere of seething anger and otherworldly peril. The tension breaks briefly as the music becomes more moody and hypnotic, but also more chilling and haunted. When that creepy interlude concludes, the song unexpectedly becomes faster and more rampantly vicious before it collapses into a bottomless, blood-freezing abyss. Hypnagogia is the name of the new album. It will be released by Profound Lore on November 9th. 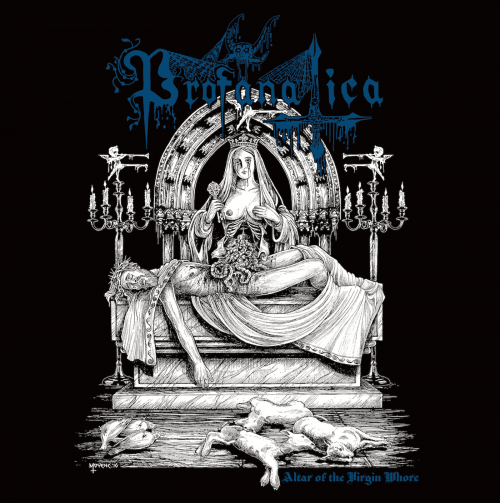 Twenty-eight years after their first demo, New York’s Profanatica are returning with a new eight-track, 20-minute EP entitled Altar of the Virgin Whore (with blasphemous cover art by Chris Moyen). It will be released this coming November by Hells Headbangers. The single released a few days ago is “Prayer in Eclipse“, which turns out to be skull-clobbering, furiously flesh-rending piece of madness, segmented by an epoisode of slow, foul, morbid hatefulness. 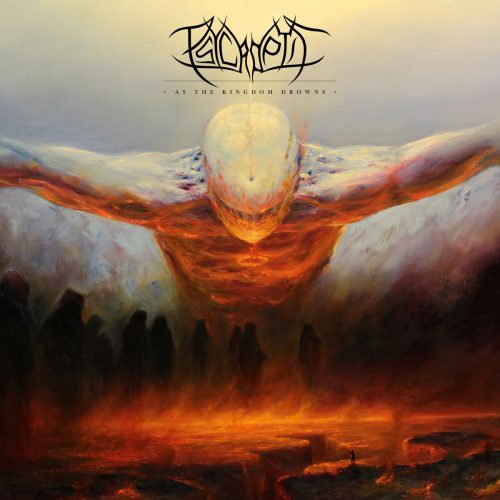 Adhering to a roughly three-year cycle for releases, the Tasmanian tech-death stalwarts in Psycroptic will have a new album for us on November 7th via Prosthetic Records — As the Kingdom Drowns. The eye-catching cover art was made by Mariusz Lewandowsky, whose last appearance in these pages was via his remarkable cover for the most recent Bell Witch album. Yesterday DECIBEL premiered the album’s first single, “We Were the Keepers“. It’s fast and furious (of course), loaded with twisty and darting note flurries, blasting percussion, livid vocal derangement, and turbocharged, gut-punching grooves. On the other hand, there are gliding, sorrowful melodies in the song that provide an effective contrast (and stick in the head, too). I’ve unexpectedly become quite beguiled by this next song and video. I say “unexpectedly”, because unlike many of my friends I’ve not been the most steadfast fan of Voivod’s music, not because it isn’t good but because it just hasn’t appealed to my own tastes as strongly as that of other bands. 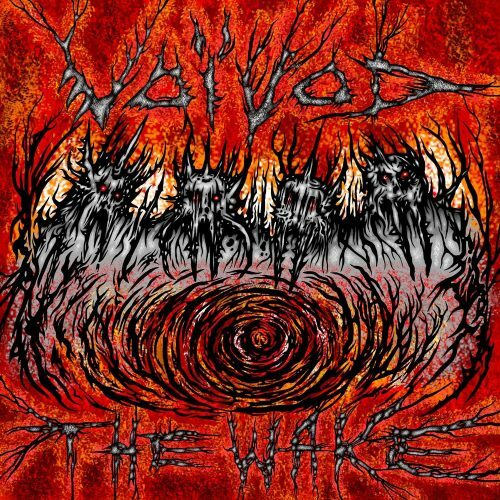 For that same reason, I’m a poor curator of Voivod’s best music and a poor analyst of how their new album The Wake stacks up against their previous output (though we will have a review by another writer in the near future). The song in question (the album’s second single), presented through a video directed by Eric Massicotte and Pierre Duplessis, is “Always Moving“. On the one hand, the skittering rhythms and fanfare-like chord bursts in the song have a certain febrile brightness, with an edge of lunacy provided by the vocals. On the other hand, the pulsating electronic tones and echoing, off-planet tonalities of the cleaner vocals give the music an hallucinatory aspect. As the song’s title suggests, the music is always moving, morphing into different shapes, translating different moods. It even becomes dreamlike and sublime, and never less than fascinating. Undoubtedly, the self-extraction of teeth depicted in the video would take strong will power (and an un-moored mind). 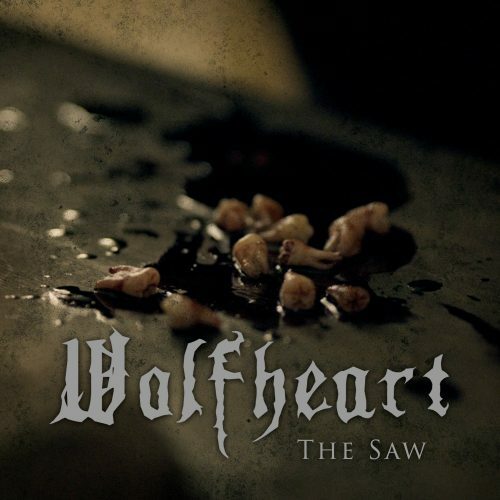 The song, “The Saw“, which I finally concentrated on without watching the video, presents its own kind of dark and near-mythic intensity, transitioning from light piano and acoustic-guitar melody to heavy, jarring, martial riffs and harrowing roars, with strains of reappearing folk-like melody in the mix that are glorious. Of course, it’s quickly addictive, too. Wolfheart’s new album, Constellation Of The Black Light, will be released on September 28. “Delightfully weird” is a good way to put it. This definitely delighted me. The new Evoken is great!